Getty ImagesConor McGregor (right) is expected to fight twice in UFC this year. UFC striker Conor McGregor will fight twice this year, according to a leading mixed martial arts journalist. The Irishman has not competed in a UFC octagon for 16 months but has a number of viable opponents he could take on. Conor McGregor has not set foot inside a UFC octagon for 16 months – but he could fight twice this year. The Irishman took a break from UFC so he could challenge Floyd Mayweather in a boxing rules bout in August 2017. He lost in the 10th round,made $US100 million, and took the rest of the year off to bond with his newborn son. But the UFC and McGregor have held talks over two fights in 2018, according to MMA Fighting reporter Dave Meltzer. If we know McGregor will compete twice this year, then there are only two questions left to answer – who he will fight, and in what order. Here is a rundown of who McGregor could face this year, starting with the likeliest opponent. Getty ImagesTony Ferguson (left) and Khabib Nurmagomedov (right) are fighting for McGregor’s lightweight title. 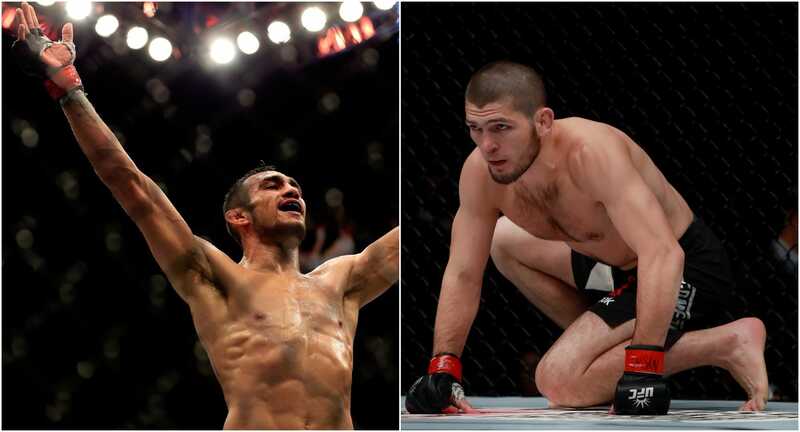 Tony Ferguson and Khabib Nurmagomedov fight for the UFC lightweight championship at UFC 223 on April 7 in New York – and one person who will be watching with interest is McGregor. The title status, after all, involves all three fighters. McGregor won the lightweight belt when he scored a thumping knockout win over Eddie Alvarez in 2016, but because he hasn’t defended the title since, the UFC will strip him of his belt and award the championship to the Ferguson vs. Nurmagomedov winner. It all builds to a grudge match of sorts. McGregor will feel aggrieved that he never lost the belt in the octagon, while Ferguson or Nurmagomedov will feel emboldended that they have risen to the top in the Irishman’s absence. This is the fight that makes most sense for McGregor when he does eventually return. Getty ImagesMcGregor would write history if he won a title in a third weight-class by defeating welterweight champ Tyron Woodley. McGregor rewrote the history books when he became the first same-time double champion in UFC history in 2016. 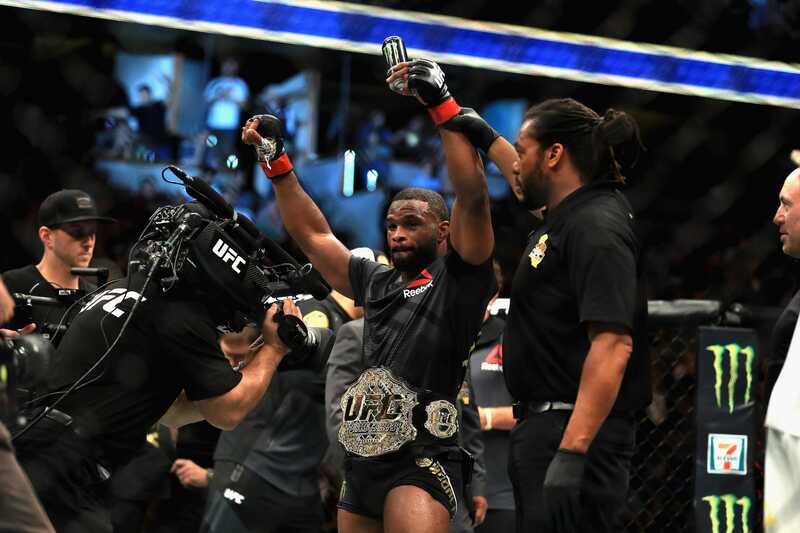 When the 29-year-old dominated Alvarez at UFC 223, he added the lightweight belt to his UFC featherweight title – the first time one fighter has held two world championships at the same time. The next step would be to win a world title in three UFC weight classes, something no fighter has ever done. McGregor fought at welterweight once before, and will surely have one eye on current champion Tyron Woodley because a win there would add wonders to his legacy. 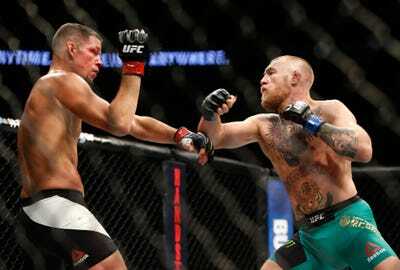 Getty ImagesMcGregor (left) and Nate Diaz (right) have one of the most exciting rivalries in UFC history. McGregor and Nate Diaz have traded blows already. At UFC 196 in March 2016, Diaz submitted McGregor with a stunning rear naked choke. Five months later, McGregor leveled the scoreline with a five-round decision win at UFC 202. With the rivalry poised at one win apiece, a trilogy bout makes sense. Diaz may have been even more inactive than McGregor, but the sheer amount of money on offer should be enough to tempt both fighters into the cage for a third and final ruckus. 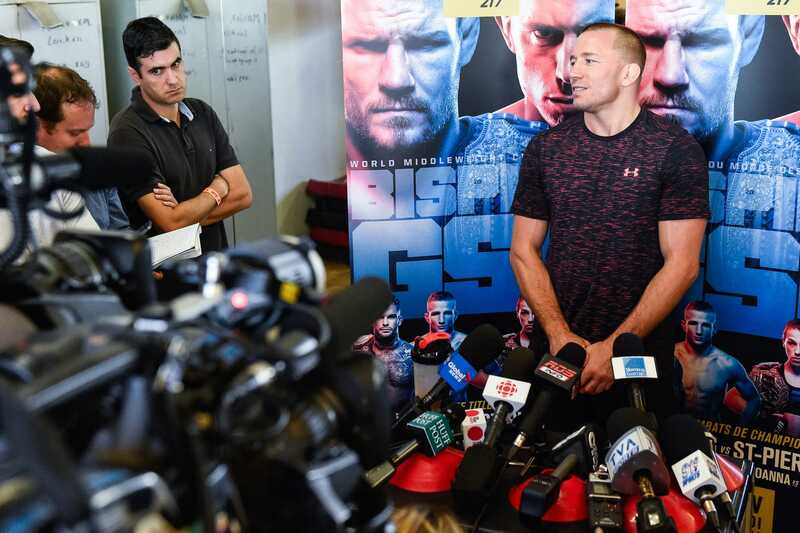 Getty ImagesGeorges St-Pierre is one of the most decorated fighters in UFC history. Georges St-Pierre has only lost twice in a storied career that has seen him defeat big name fighters like B.J Penn, Matt Hughes, and Michael Bisping. He has the most wins in UFC title fights, the most takedowns in UFC history, and the most successful title defences in the UFC welterweight division. When it comes to fighters, they rarely come more accomplished than GSP, so if McGregor was able to retire one of the biggest names in the game, then he would make one massive statement.